Charming chequer long-sleeve men’s shirt in red. 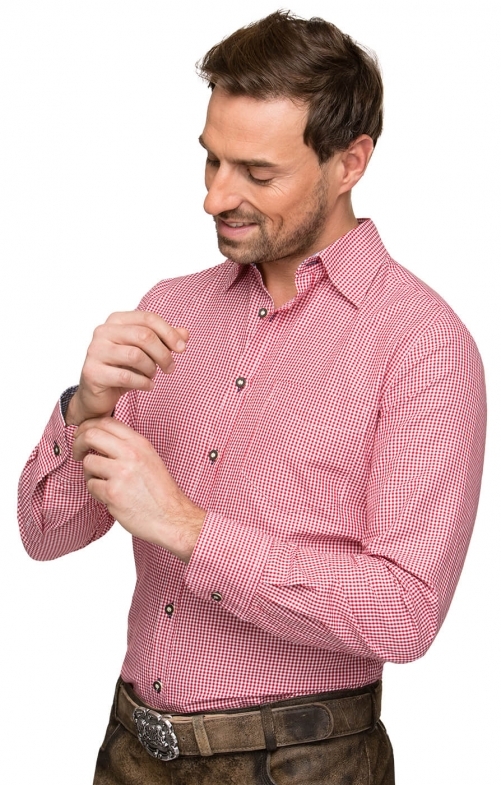 A shirt style that’s true to traditional Bavarian fashion, Dave comes with long sleeves and red chequer print. It features a front placket and a single cuff sleeve with deer horn button. The cuff is lined with contrasting chequer print in blue. A single chest patch pocket and a swept collar complete the dashing look.